This work of art… I mean, bracelet… was hand crafted by Marilita Borgese for Pizzi & Merletti of Palermo. 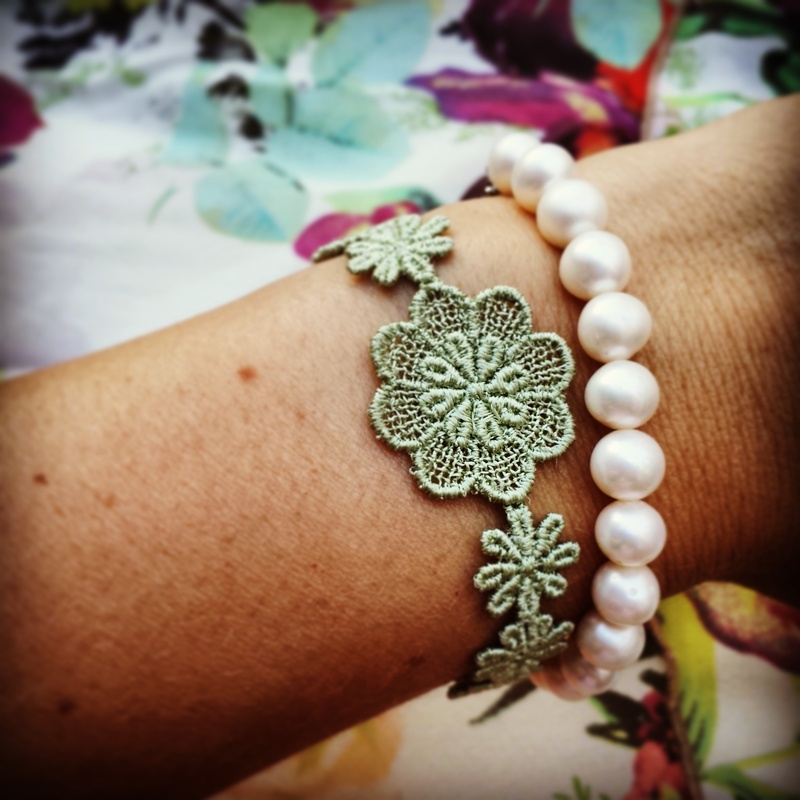 Available exclusively in the U.S. from Gelsomino Imports, LLC, it was created using a technique called tatting in English. In Italian, it is known as “chiacchierino,” which literally means “little chatting” because women chat while they work. Chiacchierino has been practiced by Sicilian women for centuries. Designs are created using thick thread that is manipulated by hand in a series of knots and loops. Today, artists create everything from doilies to earrings. Visit Gelsomino’s website to see more of Marilita Borgese’s beautiful designs!